Now I’m a homeowner I’m on a constant quest to fill my maisonette with quirky little trinkets and for me, there’s no better place than Urban Outfitters. I like to check their site weekly, looking for any new ideas. 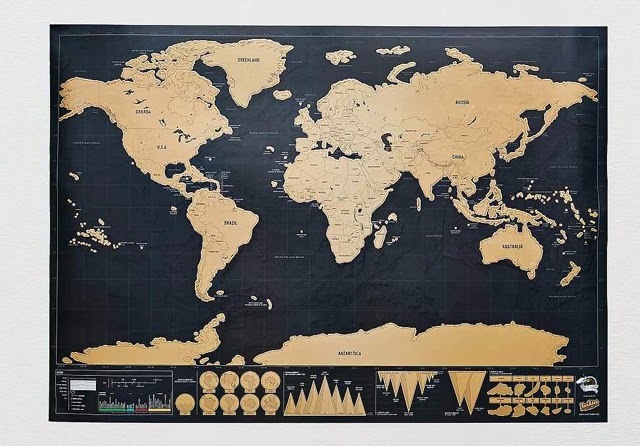 First up on my list is this Deluxe Scratch Map, £25, shown above. I’ve explored so many new places with Al that I love the idea of scratching the countries off, showing exactly where we’ve been and planning where we want to go next. I have so many pictures lying around waiting to be framed. I have a little DIY picture project on the go but in the meantime, these hanging plastic wallets could be just the thing for my living room. Confession. I actually already own this one. I’ve always wanted a chalk board to jot things down as both Al and myself have incredibly poor memories and this one fits the bill. Who doesn’t love a good candle. And what’s cuter than eight diddy flower shaped ones. I want this purely to add to my hand, well actually, fist collection. I have a clenched fist ornament which is currently housing a candle and feel like I need this one holding a photo. So there you have it, these are the five items I’m currently keeping an eye on from Urban Outfitters. You can check our the full homeware range here.